Could you be doing more? It seems the topic of the environment, and how we take care of it, has become especially prevalent over the last year. Since the premier of the sensational Blue Planet 2 aired on our screens last October, the world has been talking about what more we can do to nurture and preserve our planet. An excellent way in which companies can get involved is by using more eco-friendly promotional products. 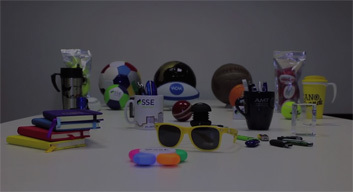 At AMT we have a wide range of eco items that can be branded with your logo. This means you can personalise a great product, and know that you’re also helping the environment at the same time! Some of the most popular promotional items have environmentally friendly alternatives. Such as; pens, memory sticks and notebooks. There’s no reason to not consider eco-friendly options! Whether it be a recycled notepad, a pencil made from denim, 100% cotton t-shirts or a reusable jute bag – you can be confident you’re branding a fantastic promotional product, whilst reducing the environmental impact of your business. Contact our friendly sales team today for help or advice with choosing the perfect items to suit your brand.